Jay Leno said Barack Obama’s “Operation Keep Biden from the Microphone” seems to be working: Biden is on a trip to Kosovo, Serbia and other tourist destinations. After a visit to Serbia and Bosnia a few years ago, Biden said his aircraft had been attacked. By which side, do you think? Leno’s joke came on the “Tonight Show” last night…. Since the election of Barack Obama last autumn, one word can best characterize liberal media and Democrat politicians: arrogance. People usually can’t cruise around fueled only by arrogance for long. 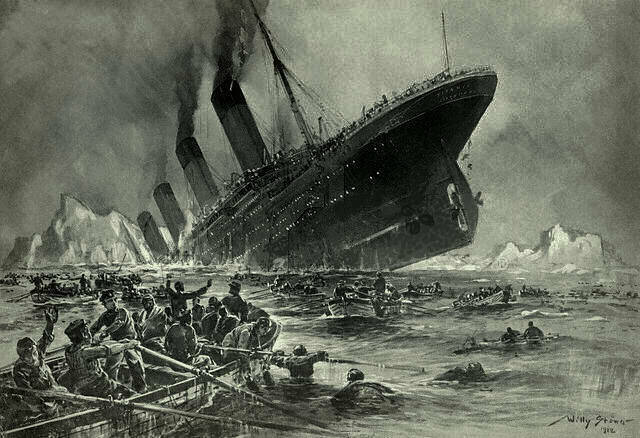 And now it seems that liberal media and Democrats will have to learn a new survival skill: humility. But that paper went over the line by ignoring the Obama ties to ACORN, Ayers, Jeremiah Wright and others. And sending a “newsman” to a president’s news conference armed with the question, “what did you find enchanting about the White House” is shameful. Even Newsweek is completing a makeover: More Obama (just fewer readers). Call it Newsweek Lite. Anderson Cooper is just now realizing his ‘teabagging” remark was stupid, offensive and unnecessary? He was supposed to be a news man? The inability to fill dead air intelligently often leads to “blurting out the truth” and we all learn what the talking head really thinks about. NBC has become the National Barack Channel. Ditto MSNBC. But when faced with viewers and readers complaints, liberal media either says they are unbiased or just giving the public what it wants. That’s bull. From a deer in the headlights. NYT Never Heard of ACORN or Pelosi’s CIA Dispute or Plagiarism…. NBC and MSNBC are struggling to find views and the New York Times is considering bankruptcy or sale. Liberal media is failing and it isn’t hard to see why. Yesterday, California’s voters rejected tax hikes to solve a budget shortfall. Voters rejected all of the State House’s plans except to order limits to state pay checks. Drastic, draconian measures are on the table: even bankruptcy. Has the liberal media covered this extensively? If the economy imploded and voters rejected all new taxes in Spain, Italy, or Russia: would that be in the top news? You bet. Even though those nations’ have a GDP about the same as California’s, the State of Governor Arnold Schwarzenegger just experienced a real tea party; and the liberal media wants to ignore it…..Just as it has tried to do for months…. Americans want to know what is going on. They don’t want to know what Barack found to be enchanting any more…. Conservative radio host Rush Limbaugh challenged MSNBC on Tuesday to go 30 days without mentioning his name on television. “It seems that the liberalism that is MSNBC isn’t selling as well as they would like because they cannot — from the Scarborough show in the morning, all the way to night, they cannot … go any appreciable length of time without showing video of me, the CPAC speech or excerpts from this radio show or having a bunch of hack guests on to discuss me,” he said, according a transcript on his website. Limbaugh also suggested that the network may not be able to withstand a ratings plunge if mentions of him were pulled from the network. NBC is in fourth place among networks…. So, for the first time in weeks, the GOP seems to have gotten off the mat. All of its spokesmen are singing off the same page. The party is on offense — words like impeachment and resignation are being tossed around. And this time, the target is a Democrat. In just a few days, it’s as if the entire DC establishment has collapsed around her. The House speaker’s disastrous press conference last week — ending in her saying that, essentially, the Central Intelligence Agency lied to her about the nature of the enhanced interrogation techniques being used to get information out of detained war captives — has been a galvanizing event uniting Republicans and sending nearly all would-be Democratic defenders scrambling. The White House distanced itself from her claims. 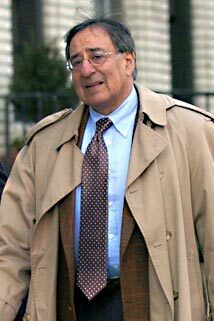 CIA Director Leon Panetta — a former Democratic member of the House and White House chief of staff under Bill Clinton — defended his agency, saying that it’s “not in the business of misleading” Congress. 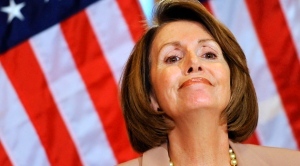 Republican leader John Boehner said that Pelosi needs to put up or shut up — prove that the CIA lied or apologize. Newt Gingrich piled on repeatedly, saying that she could be in danger of losing her speakership if it appeared she lied. Considering that he was nearly ousted in a internal coup, the man knows whereof he speaks. This episode demonstrates a couple of things: 1) Pelosi is a real anchor around Democrats, demonstrating so few political skills that she has given Republicans a sword when they were completely flailing around; 2) in the world of baby boomer politics, there is no greater sin than hypocrisy — not adultery, not torture, nothing but being seen as a hypocrite. Tom Daschle is back and working on nationalized healthcare. It’s obvious now, GE is a chosen winner by Obama who is choosing which companies win and lose based around his policies, and that doesn’t include the government has been buying GE’s bad paper. Daschle has been chosen as a board member of Healthymagination. GE will drive socialized medicine through a happy-named company. Healthymagination will be in charge of the national patient database, which is established in the stimulus plan. The reports show that GE with Intel Corp is investing $6 billion to improve and make healthcare affordable through Healthymagination, and I have no doubt it is our money they are investing. Let’s not forget Daschle is one of the hardest pushers of socialized medicine in this country. Socialized medicine will be controlled by the government with General Electric as its partner, who will make billions as your health care is sacrificed. GE’s other arm, Universal, which includes NBC and MSNBC, will make thousand of “commercials” touting the benefits of the healthymagination approach. That’s called propaganda in Communist nations…. GE has also gotten more than $130 billion in FDIC bailout money…. You are currently browsing the archives for the NBC category.